Rugs can add a splash of color to a room and are a great choice for interior design as they can be easily moved when you want to change the theme of a room. However, accidents happen: drinks or food are spilled, children track in dirt, pets make a mess and smokers can leave an unpleasant smell in the fabric. 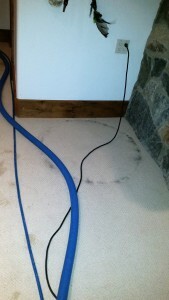 For these reasons you will need to have a deep cleaning for your area rugs every once and a while as home methods just don’t clean as deeply as you want. Many area rugs we deal with are quite old or have sentimental value to our clients. We promise our Avon clients that we will use the gentlest methods to effectively bring your rug back to life. Every rug has its own design and style and we here at A Quality Carpet Care have complete knowledge of how to effectively clean your rugs, whatever type they are. Some older rugs cannot have a deep cleaning done with any amount of liquid as their colors will run and the rug will fade. We have dry foam machines to ensure proper cleaning without harming the surface or damaging the weaving. All information provided is provided for information purposes only and does not constitute a legal contract between A Quality Carpet Care and any person or entity unless otherwise specified. Information is subject to change without prior notice. Although every reasonable effort is made to present current and accurate information, LinkNow!™ Media makes no guarantees of any kind.